This important engaging book records the first acquaintance of poets from American Indian and Native Siberian cultures as they come to recognize their similar cultures, life-ways, and reverence for the natural world. The poetic dialogues contain a mutual recognition of kinsmen across centuries of mutual isolation. Perhaps their chief value is the declaration of fundamental human values, expressing the authors’ deepest aspirations as spokesmen for traditional cultures. As Alexander Vashchenko concludes in his commentary, “This poetic calling-forth offers an important lesson to all of us who live from day to day, with confused priorities, without a thought to eternity; who forsake our original nature—our distant, ancient kinsman, the Bear, that mighty spirit of Mother Nature and powerful symbol of our enormous, universal nation.” The Foreword, Afterword, supplementary notes, and Editor’s Note limn the historical and biographical background that make this text a world’s first, inspiring a call for future intercontinental collaborations of indigenous writers. Contributors include Nathan Romero, Susan Scarberry-Garcia, Claude Clayton Smith, Alexander Vashchenko, James Walter, and Andrew Wiget. 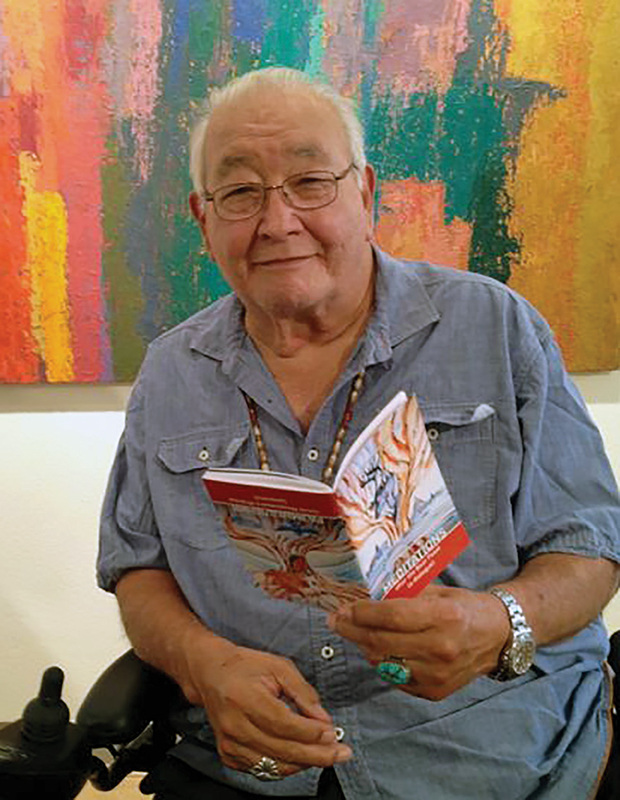 N. Scott Momaday [Kiowa] — Poet, prose writer, essayist, dramaturg, and graphic artist. He was awarded the National Medal of the Arts in 2007 and the Pulitzer Prize in 1969. He is an adjunct professor at the Institute of American Indian Arts in Santa Fe, New Mexico. Yuri Vaella [Aivaseda] (1948 – 2013)— Reindeer herder, poet and prose writer, and political activist. He was of the Forest Nenets people of western Siberia. His work has been translated into a variety of European and Eastern languages. Alexander Vashchenko [Alexandr Vaschenko] (1947 – 2013) — Scholar and translator. He was senior researcher at the A.M. Gorky Institute of World Literature in Moscow, Russia, and later chair of the Department of Comparative Studies in Literature and Cultures at Moscow State University. Claude Clayton Smith — Professor Emeritus of English at Ohio Northern University. The author of eight books, he is, with Alexander Vashchenko, editor and translator of The Way of Kinship and works by Yuri Vaella and Yeremei Aipin. Susan Scarberry-Garcia — Visiting Scholar of English at the University of New Mexico, Adjunct Professor at the Institute of American Indian Arts, Santa Fe, New Mexico, and the author of Landmarks of Healings. Andrew Wiget — Professor Emeritus of English at New Mexico State University. He spent two decades working with American Indians, and more recently has spent more than two decades working with Olga Balalaeva among the indigenous peoples of Siberia. Nathan Romero [Cochiti Pueblo] — Student at the Institute of American Indian Arts, Santa Fe, New Mexico. He studies creative writing and art, and assists in teaching and developing curricular materials for the Cochiti Keres Language Program. James Walter — Professor of German at Ohio Northern University. 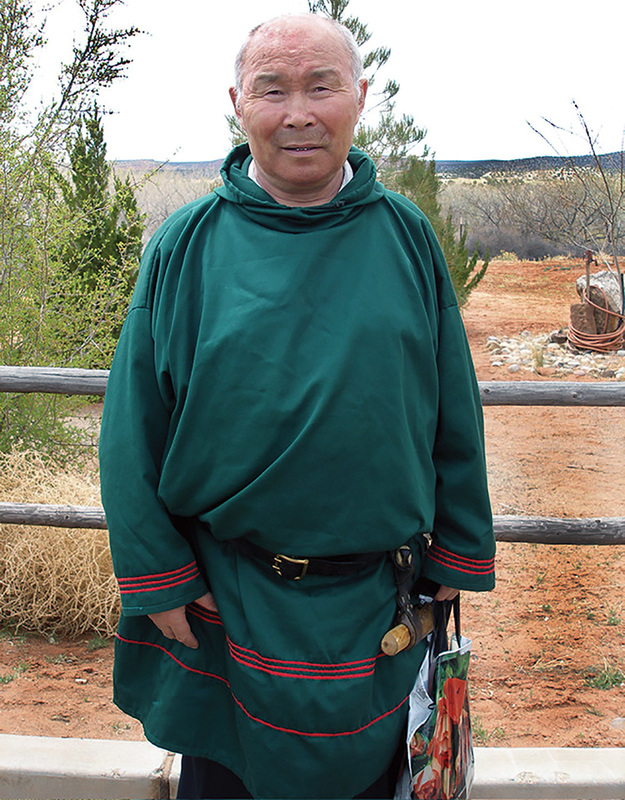 He assisted with translations for The Way of Kinship and MEDITATIONS After the Bear Feast. "Although separated by thousands of miles, two poets, a Native American and a Native Siberian, recognize one another as brothers. The Bear acts as a mirror reflecting the true nature of kinship. 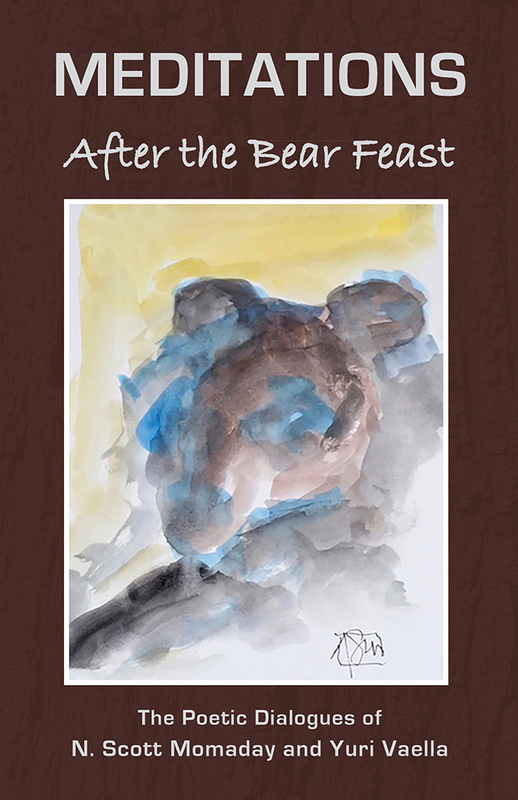 During one heartfelt exchange, Vaella writes: “I’ve never met anyone who suffers from words as I do.” Come, join the Bear feast through the beauty of their words." "Two kinsmen, Momaday, a native American, and Yuri Vaella, a native Siberian, hold poetic exchanges with commentary by others. The two men form a new Bering Strait for the migration of the imagination." 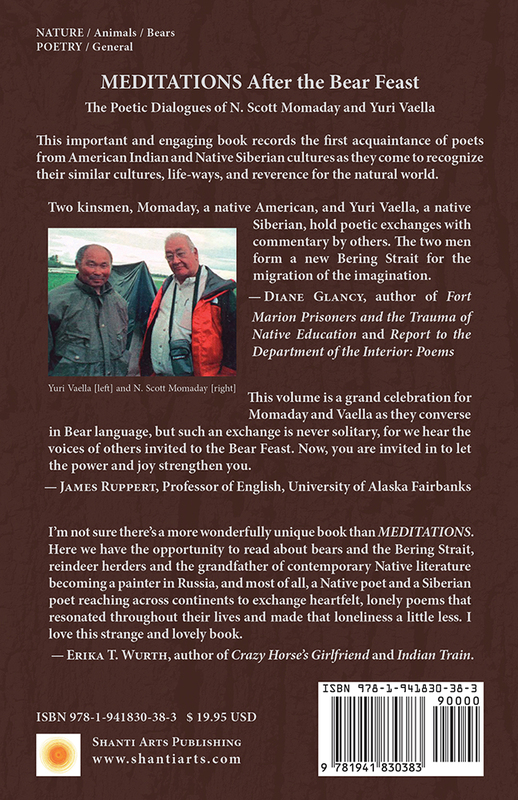 "This volume is a grand celebration for Momaday and Vaella as they converse in Bear language, but such an exchange is never solitary, for we hear the voices of others invited to the Bear feast. Now, you are invited in and let the power and joy strengthen you." "I'm not sure there's a more wonderfully unique book than MEDITATIONS. In this book, we have the opportunity to read about bears and the Bering Strait, about reindeer herders and about the grandfather of contemporary Native literature becoming a painter in Russia. And most of all, about a Native poet and a Siberian poet reaching across continents to exchange heartfelt, lonely poems that resonated throughout their lives and made that loneliness a little less. I love this strange and lovely book." Marjorie Mandelstam Balzer, The Russian Review, January 2017. "The core of the book is a series of poems exchanged over many years of brotherhood between two Native poets from different continents who found each other’s kindred spiritedness through mutual reverence for the bear, highlighting all the wildness and beauty that the bear represents. That a Native Siberian and Native American could find much in common is no surprise.
" . . . it is a memorial in the sense that crucial passages mourn the passing of indigenous peoples’ connectedness to their endangered homelands. Yet the dialogues are filled with hopes of renewed spiritual connections, conveying the time-honored wisdom of bears renowned in many Native nature-based Northern traditions, and the possibility of reincarnation."